The best part of group travel is that sense of security your travel buddies will give you. It is great to know there is someone looking for you and that you can also feel responsible for someone. Sadly, at times, it is those same people that will easily get you in trouble. In order to fully enjoy your journey, you must steer clear of unnecessary dangers and avoid bad crowds. And here are 5 simple group travel safety tips to help you do that. It is not because you are abroad that you should forget everything your parents and life have taught you so far. For instance, even if locals don’t, you should never forget your seat-belt or “drink and drive”. Same goes to being too open to strangers and letting your guards down. You will meet remarkable people when traveling; some are awesome, others not. Adventure and exploration make group travel awesome. However, there are better places to test your limits than when you are miles away from home. The effect of group can be, at times, very harmful to the individual. Getting hurt while traveling can be quite expensive, especially without a travel medical insurance. Be safe, not sorry! An adrenaline-pack travel leaves long lasting memories; as long as they do not leave you in others’ loving memories. If you intend to take specialty courses like scuba diving or bungee jumping, be sure to check the certificates of instructors as well as site advisories. For instance, the Diver’s cemetery in Egypt is a popular and gorgeous diving site that, each year, claims the lives of misguided and unprepared divers. You do not have to be paranoiac as it will only ruin your vacations. Instead, be street-smart. An essential group travel safety tip is to always be aware of one’s surroundings. Research your destinations, and do not hesitate to ask hotel staff or locals you’ve acquainted where to go and which places to avoid at all cost. Also, be careful where you go and what you eat and drink with strangers. A rule of thumb is not to do anything locals are not doing themselves. When in Rome, do as the Romans do. One way to quickly make enemies of the natives in places you visit, is to disrespect their culture or traditions. Sadly, the rules of conduct are often not clearly stated. Your best bet is to watch and learn! Above all, be mindful of your dress code and quickly recognize what locals value most. Group travel safety depends on the individuals in the party and just how smart they are. 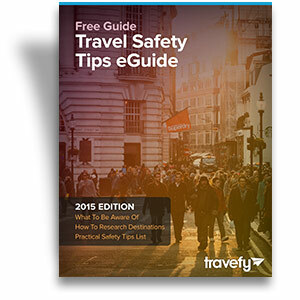 What other group travel safety rules, tips and tricks can you add to this list? Share with us in the comment box below.